This is such a simple, healthy and easy to follow recipe that requires no baking, butter, oil or sugar. 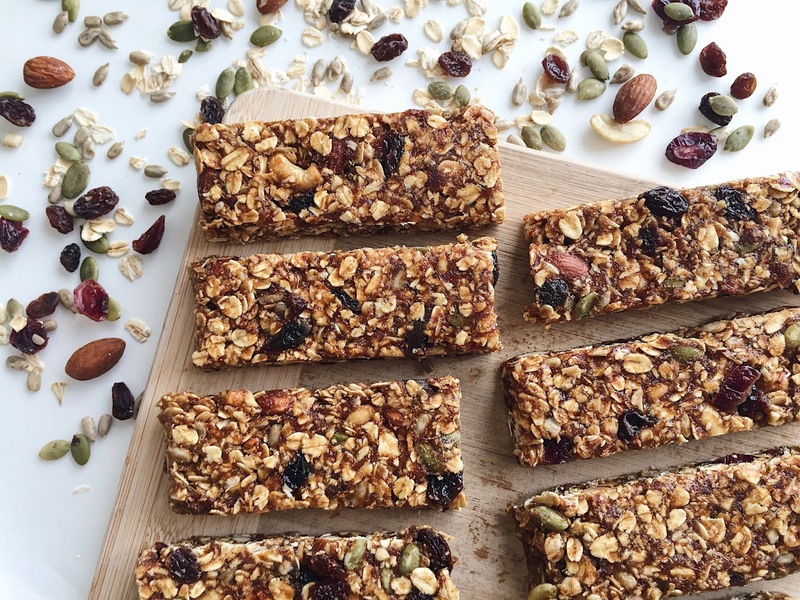 The ingredients used in this vegan granola bar are 100% natural and can be eaten in under 45mins! 1. Soak pitted dates in warm water for 20mins. Drain water then place dates and rice malt syrup into a or blender or food processor (I use a nutribullet) and pulse until a dough consistency is formed. 2. 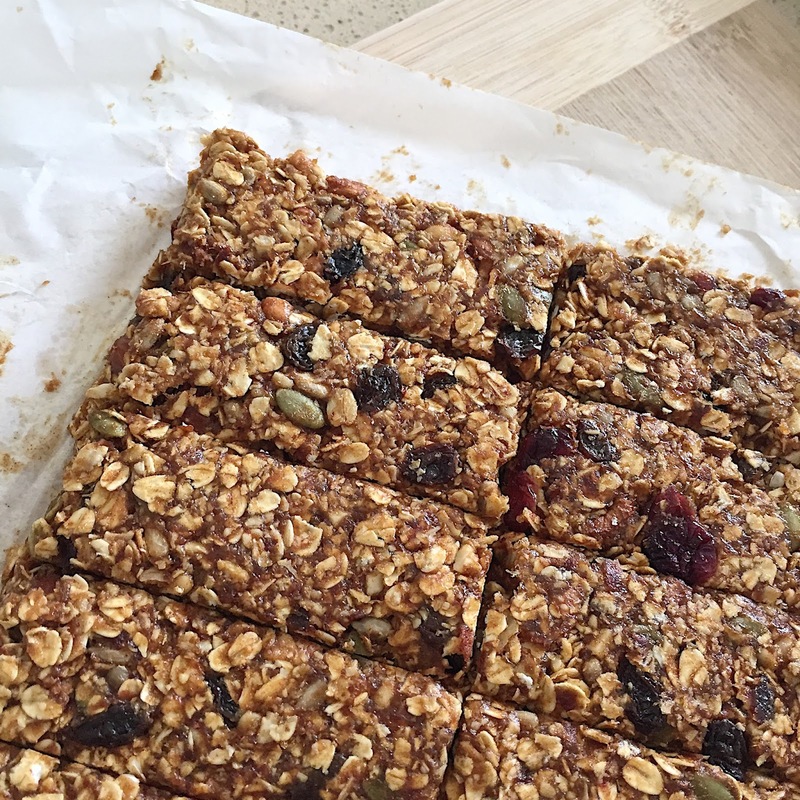 Preheat oven to 170°C (338°F): pour oats, almonds and pumpkin seeds onto a baking tray and lightly toast for 10-15mins or until a little golden brown. Pour into a large mixing bowl and set aside. 3. Warm peanut butter in a small saucepan over low heat and stir or microwave in a small glass bowl for 20 seconds. 4. Line baking dish/pan with baking paper and leave some paper hanging for easy removal (some recipes recommend 8x8 but I only had a 9x12 inch baking dish so I only covered half of the tray). 5. 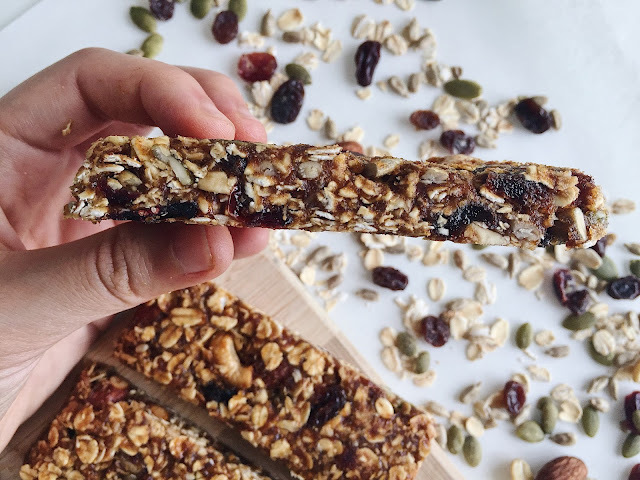 Combine peanut butter, dates mixture, cranberries and cashews into the mixing bowl and mix thoroughly - use your hands so that all the ingredients are mixed around evenly. 6. Scoop mixture into the baking dish and press down firmly (use something with a flat surface e.g. spatula) into a smooth and even layer - packing them tightly ensures the bars hold together better. 7. Cling wrap the tray and leave in freezer for 20-25mins until firm. 8. 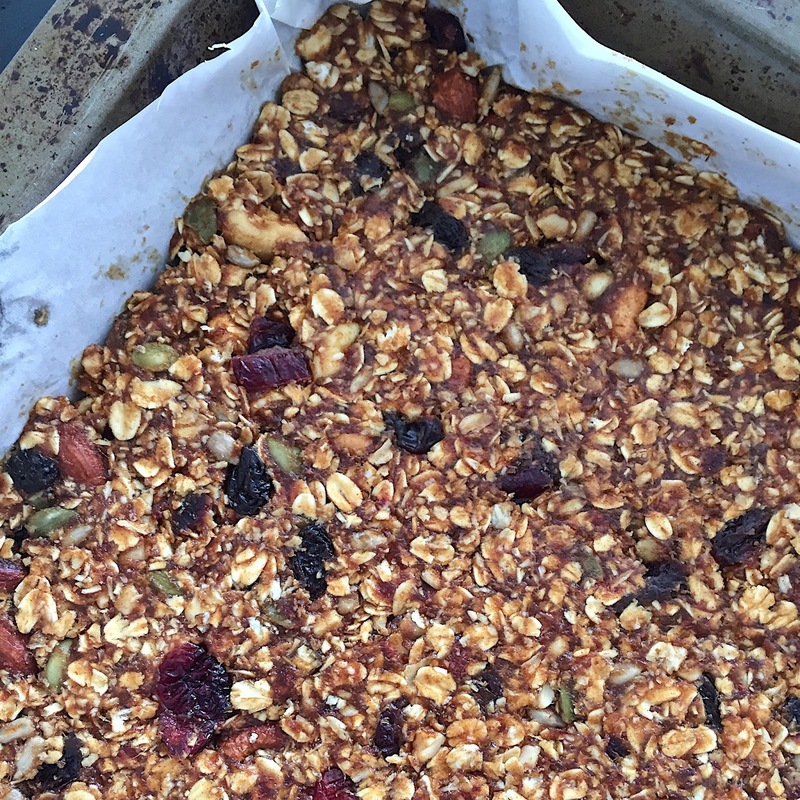 Lift granola bars out from the dish, slice into 12 pieces and serve. 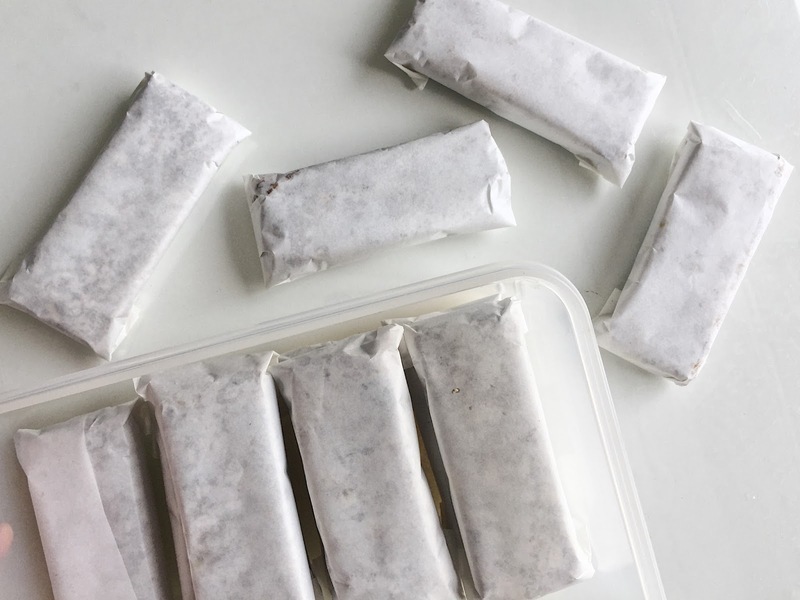 * To store, wrap the bars in baking paper and keep in an airtight container in the fridge (or freezer). What a great recipe! Cant wait to see more from you! !